Sometimes a homeowner goes floor shopping with only one thing in mind, and sometimes that flooring is tile. There are lots of floor coverings to choose from, but once you have your heart set on tile, it hard to turn away from it. There are plenty of good reasons for that. Not only are there many benefits, but the design possibilities are literally endless. No matter what your decor scheme or existing theme, this floor covering will fit right in, every time it’s tried. Kelly’s Carpet Omaha has plenty of experience in providing the best in customer service and support to our customers. We serve the areas of Elkhorn, NE, Papillion, NE, Ralston, NE, Bennington, NE, Bellevue, NE and Omaha and surrounding areas. We invite you to stop in to see us at our showroom, located in Omaha, Nebraska, at your convenience. We’ll work hard to match you with the perfect product, and provide you with all the services you’ll need to see it through to completion. 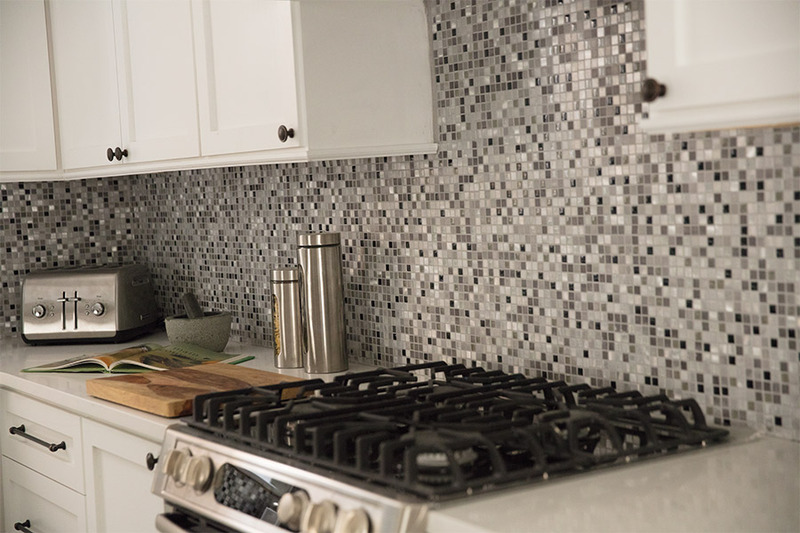 It doesn’t matter if you need to floor only one room, or if you’re looking for wall-to-wall flooring throughout your home, tile is an excellent choice. In the bathroom, laundry room and kitchen, you’ll see the use of its waterproof properties where you need it most. Choose them for your living room or dining room, and you can create a decorating scheme that is as unique as you are. Even bedrooms are cozier with tile flooring, and a few well-placed area rugs. 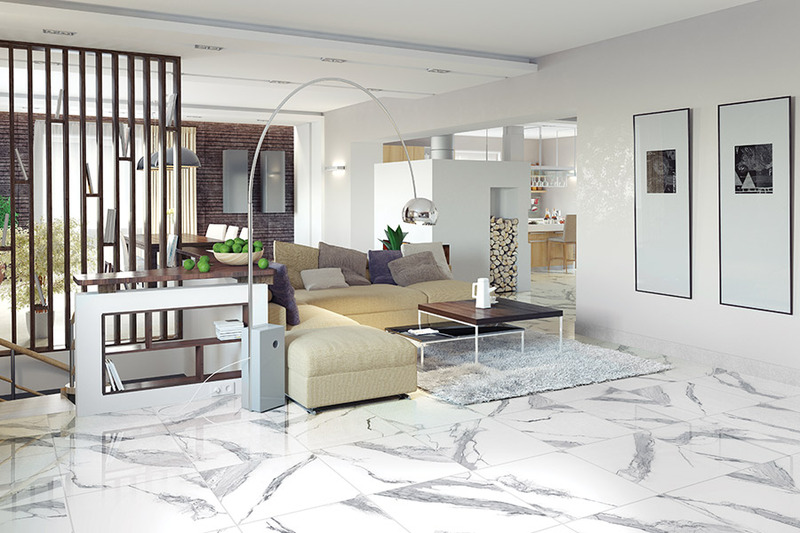 Porcelain tile is the highest quality floor tile you can purchase. It’s made with the highest quality clays and kiln fired to be incredibly hard and waterproof. It has a through-body color scheme that works very well to hide chips, cracks and other minor damage that might come its way, and is often clear glazed to show off all its natural beauty. Ceramic is another option you have in this flooring category, and some homeowners don’t even know the difference between the two. The only real difference is found in the material that make up the product. Whereas porcelain uses only the finest clay, ceramic utilizes both clay and other natural materials. 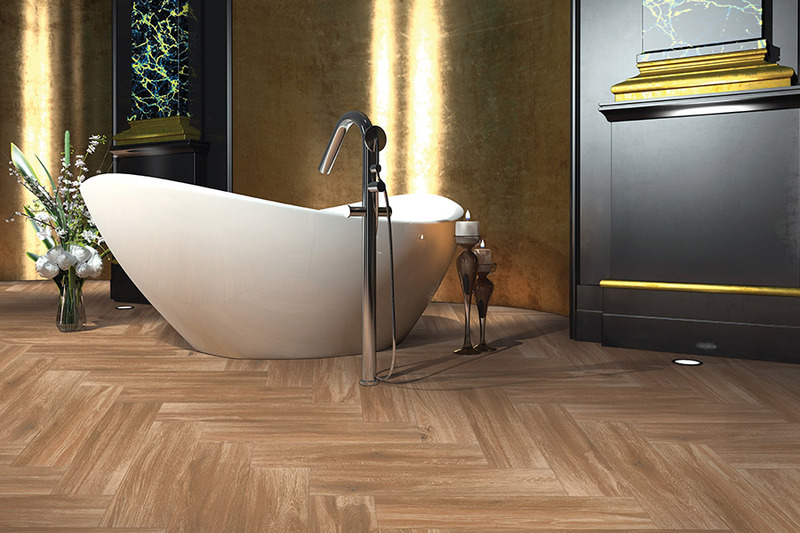 The difference is mainly seen in the fact that ceramic does not have the through-body color that porcelain does, not does it have the characteristics that make it a candidate for clear glazing. Because of this, you’ll see ceramic tiles covered with brightly colored glazes that make it a pleasure to decorate with in any room. Ceramic and stone tile have been the flooring of choice for many homeowners for centuries, and there's a good reason that the popularity of these durable, beautiful materials has endured. 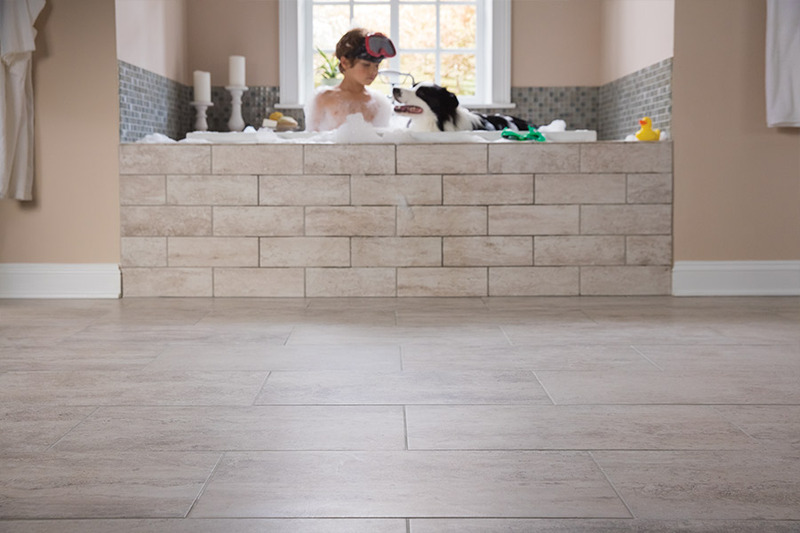 Modern innovations have made natural tile more affordable and easier to maintain than ever before. Options for stone and ceramic tile products are practically infinite, but the experts at Kelly's Carpet Omaha can help you narrow down exactly the style you're looking for. Before you buy, know your options when it comes to stone and ceramic tile. Learn about the different types of stone and ceramic tile available and how to select the right size, as well as get tips for ordering your tile. Leave the hard work to our professional installation experts. Installing stone or tile floors can be a big project, so know ahead of time what to expect from the process before, during and after you lay your new tile floors. Our installers only use the Schluter System of installation for our tile floors. Stone or ceramic tile flooring is a great investment that will increase the value of your home. Know the best way to protect your investment and follow our care maintenance tips.